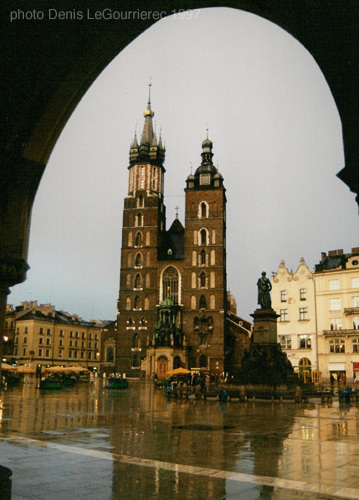 A legend attributes Kraków's founding to the mythical ruler Krakus, who built it above a cave occupied by a dragon, Smok Wawelski. 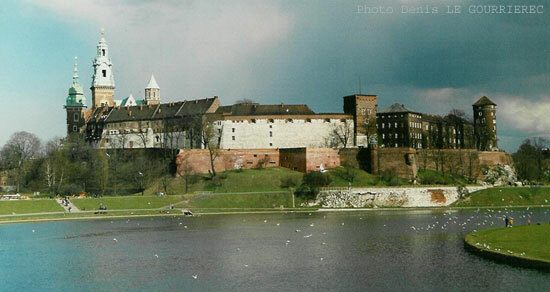 It was reported as a busy trading center of Slavonic Europe by the end of the 10th century and rapidly grew into a major academic and cultural center. See also : photos from 2000 and photos from 2005.